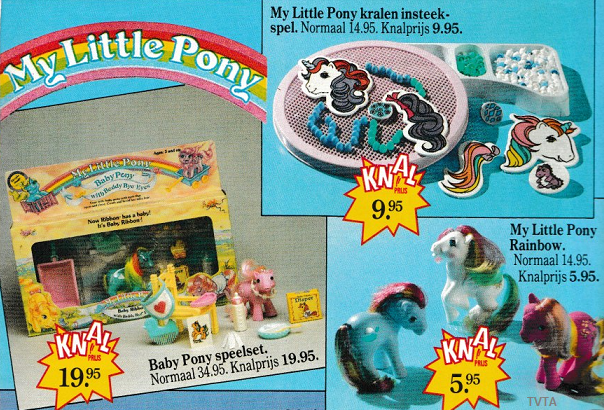 My Little Pony began life as a line of plastic pony toys developed by Bonnie Zacherle, Charles Muenchinger and Steve D’Aguanno. 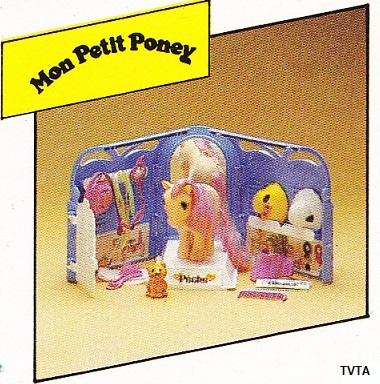 Launched by Hasbro in 1981 as My Pretty Pony the line changed names the year following to its current ‘My Little Pony’ title and remains a popular brand to date. 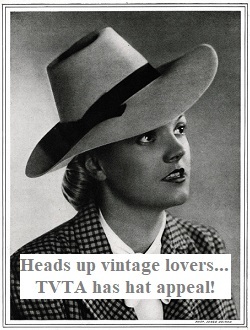 TVTA proudly presents a pretty parade of Pony print adverts packed full of toys, games and merchandise. My Little Pony. 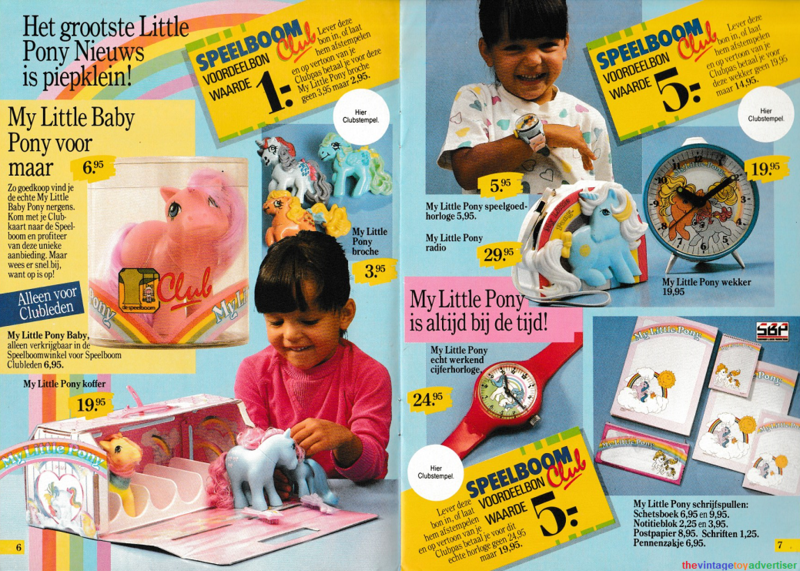 Speelboom Club Journal N°5. 1987. Netherlands. 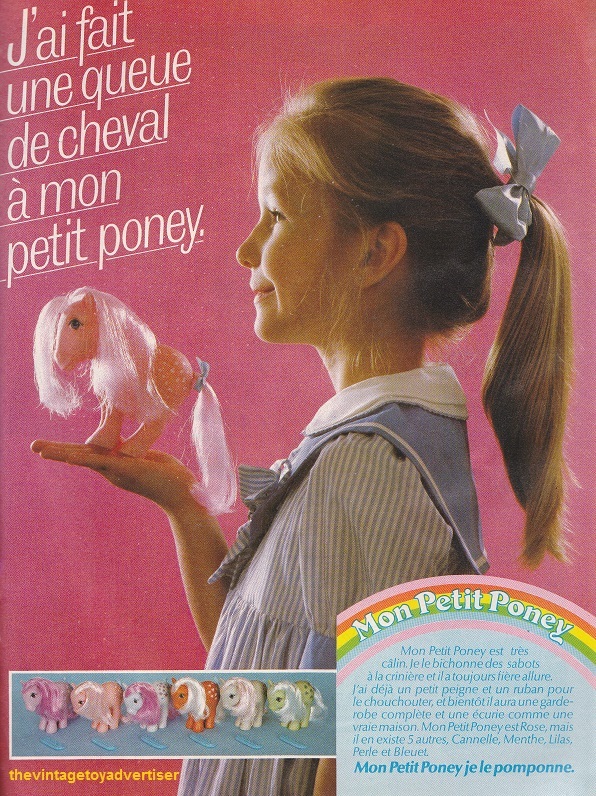 My Little Pony. Speelboom Club Journal N°1. 1987. Netherlands. 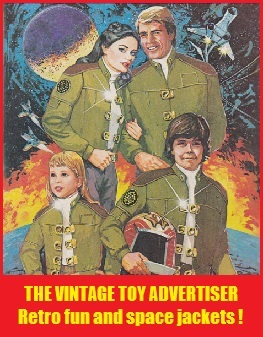 Cora Christmas catalogue. 1988. France. 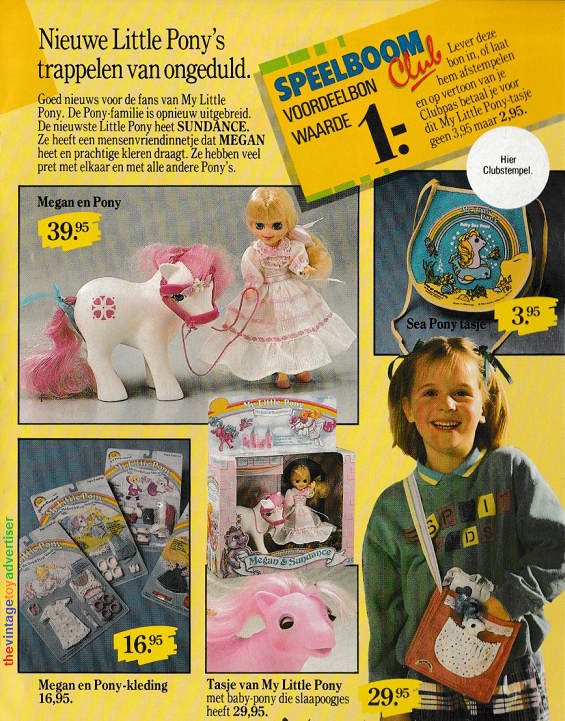 Catalogue Super Jouet. 1985. France. 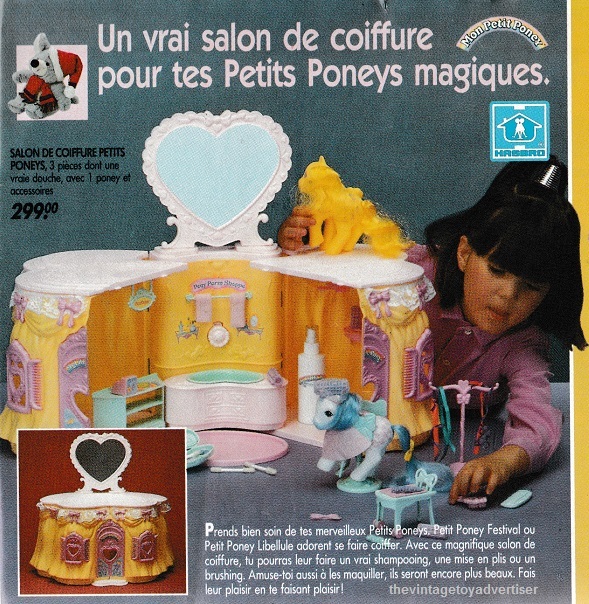 This entry was posted in MY LITTLE PONY and tagged 1980s, 1980s toys, Megan and Pony, Mon Petit Poney, My Little Pony, My little pony 80s, My Little Pony Baby, My Little Pony Hairdressing salon 1980s, My Little Pony Netherlands, My Little Pony Rainbow, My Little Pony Show Stable, My little Pony vintage toy advert, My Pretty Pony, Pony toys, the vintage toy advertiser, vintage toy advertising, vintage toy adverts, vintage toys on April 15, 2011 by The Vintage Toy Advertiser.